The Vatican announced January 31, 2019, that Pope Francis has appointed Bishop Robert J. Brennan, auxiliary bishop of the Diocese of Rockville Centre, New York, as the 12th bishop of the Diocese of Columbus. He will succeed Bishop Frederick Campbell, whose resignation was accepted by the pope. Bishop Campbell’s 75 th birthday was on Aug. 5, 2018. The church’s Code of Canon Law requires that bishops submit a letter of resignation to the pope on reaching age 75. Bishop Campbell did so last year. “I am deeply grateful for all the wonderful support and help that I have enjoyed as bishop of Columbus among all the faithful – the clergy, the laity – the many projects that we completed and the many ways by which we shared our faith through these years,” Bishop Campbell said at the beginning of the news conference before turning the microphone over to his successor. Bishop Brennan, 56, whose current diocese covers Nassau and Suffolk counties in Long Island, said he learned of his appointment to be the next spiritual leader of the Columbus diocese while driving on the Long Island Expressway on Saturday, Jan. 19. “The nuncio asked me ‘Are you alone?’ and then he asked ‘Do you think you need to pull over?’ All I could think of was, ‘That happened a minute ago when you first called,” he said. The next day, the Long Island bishop went with young people from his diocese on a pilgrimage to World Youth Day in Panama. Describing that experience, he said, “It was all about connection and encounter – encounter with pilgrims from around the world, encounter with the Holy Father, and ultimately, the encounter with Jesus Christ. “Looking through the lens of today and the news of this week, I was struck by an image. Here you have people of faith walking together, encouraging one another with the joy of the gospel. They were helping each other, leading each other to the encounter with Jesus Christ. Friends, isn’t that what we’re all about here in the Church of Columbus? Bishop Brennan, who had arrived in Columbus the day before the announcement, said he also was impressed by his meeting with diocesan Bishop Emeritus James Griffin that evening. Bishop Griffin, 83, lives in retirement in Powell and celebrates Mass on weekends at Powell St. Joan of Arc Church. “Clearly, I have an awful lot to learn,” Bishop Brennan said. “I have to admit I’ve looked at the (diocesan) website once or twice and I must confess I’m more than a little bit nervous, but I look forward to walking the journey with you as your pastor – to sharing the joy of the Gospel and the splendor of truth. And if we can laugh and sing and raise our voices in praise of God along the way, then all the better. Bishop Brennan was born on June 7, 1962, in the Bronx, New York and was ordained a priest of the Rockville Centre diocese on May 27, 1999. He was first assigned to St. Patrick Church in Smithtown, New York. In 1994, he was appointed secretary to the bishop and served three bishops of Rockville Centre from then until 2002. He was selected as a prelate of honor by Pope John Paul II, with the title of monsignor, in 1996. He has been vicar general and moderator of the curia for the diocese since 2002. He was appointed pastor of St. Mary of the Isle Church in Long Beach, New York, in 2010, serving there until his ordination as auxiliary bishop. He resides at Our Lady of Peace Church in Lynbrook, New York. 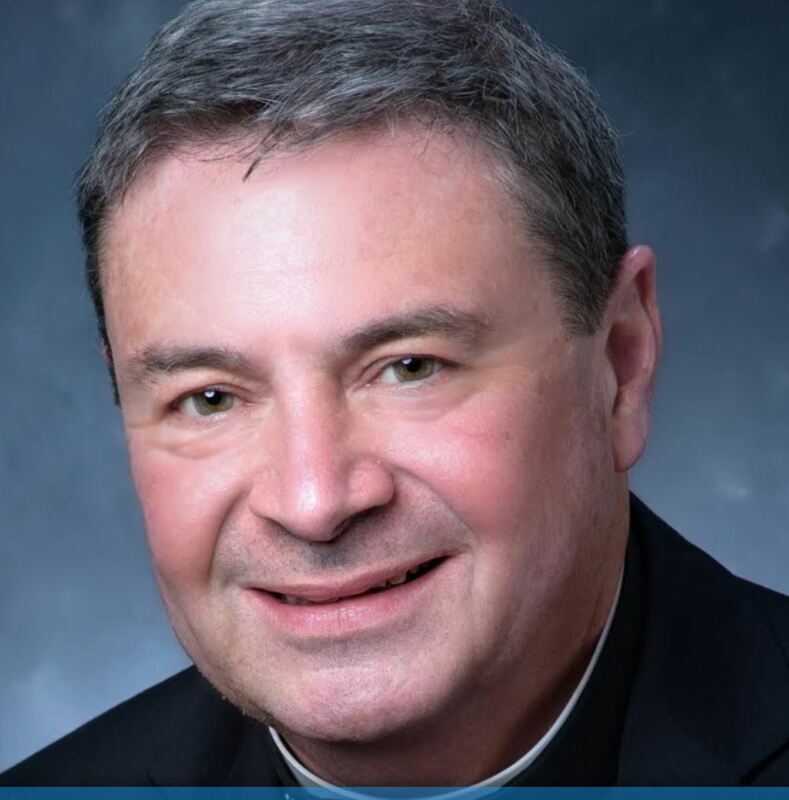 He has served on the board of directors of Catholic Health Services of Long Island, the Bishop’s Advisory Committee for Catholic Education, and several other diocesan boards, and on committees of the U.S. Conference of Catholic Bishops. He also served as chaplain for the Catholic Lawyers Guild of Nassau County and says Mass regularly for the Dominican Sisters of Amityville, New York, who taught him in elementary and high school, and for the Franciscan Sisters of Allegany, New York. The oldest of five children, he has two brothers, two sisters, and 14 nieces and nephews. He was raised in Lindenhurst, New York, where his parents still reside. He earned a bachelor’s degree in mathematics and computer science from St. John’s University in New York City and studied for the priesthood at the Seminary of the Immaculate Conception in Huntington, New York. Bishop Campbell said after the news conference that he’s unsure of what he will do in retirement. “It’s the first time I’ve done it, so we’ll see,” he said. He is a native of Elmira, New York, and the second of six children of the late Edward and Dorothy Campbell. He earned a bachelor’s degree in history and foreign language from St. Lawrence University in Canton, New York in 1965 and obtained his master’s degree in 1967 and doctorate in history in 1973 from The Ohio State University. Before beginning his studies for the priesthood in 1976, he was a history professor at the Pontifical College Josephinum from 1967 to 1969 and at California State University-San Bernardino from 1970 to 1976. After studying at the St. Paul (Minnesota) Seminary, he was ordained a priest of the Archdiocese of St. Paul-Minneapolis by Archbishop John Roach on May 31, 1980. He served as an associate pastor and pastor in the archdiocese until Pope John Paul II appointed him as its auxiliary bishop in 1999. In July 2002, he became rector and vice president of the St. Paul Seminary School of Divinity of the University of St. Thomas in St. Paul, Minnesota. He was appointed the 11th bishop of Columbus on Oct. 14, 2004, by John Paul II, replacing Bishop Griffin, who retired as bishop for health reasons after 21 years as the diocese’s spiritual shepherd. Bishop Campbell was installed at St. Joseph Cathedral on Jan. 13, 2005. He served as chairman of the U.S. Conference of Catholic Bishops’ Committee on the Diaconate from 2004 to 2006 and wrote the foreword to the USCCB’s directory on the formation, ministry, and life of permanent deacons. Among his many community activities, he is on the boards of Ohio Dominican University, Mother Angeline McCrory Manor, the Catholic Foundation, the Kinder Women’s Care Center, and the Pontifical College Josephinum, where he is vice chancellor. The Diocese of Columbus, founded in 1868, consists of 23 counties in central and southern Ohio and has 105 parishes and a population of 2.64 million, of whom 252,103, a little less than 10 percent, are Catholic. The Diocese of Rockville Centre, founded in 1957, has 134 parishes in its two Long Island counties. It has a population of 2.85 million, of whom 1.53 million, or more than 50 percent, are Catholic. It is the sixth-largest diocese in the United States in terms of population.